LTO has always required drivers to submit a Medical Certificate along with other documents such as application form and eye test result if they are applying for a driver’s license (e.g. student permit, non-professional, professional.) This is to ensure that the driver is mentally and physically fit since driving is considered as a physical and mental activity. Not only first time applicants are required to submit this, but also those who are applying for a renewal or replacement of license. Aside from the medical certificate, a negative drug test result is also included in the medical requirements. How to get a medical certificate? A certificate will be issued once you are finish with the medical exam. Medical examinations are done from an LTO accredited or government physician and government clinics or hospitals. 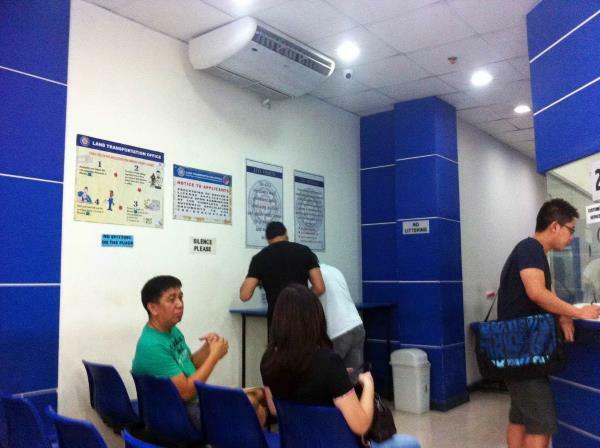 Usually, LTO accredited clinics are just around the vicinity of the LTO office. There are times that these clinics are closed or unavailable. If such case happens, you can take the medical exam instead from a different clinic, just make sure that it is also LTO accredited. This medical exam usually costs around Php500.00 but still depends on the clinic you are going to take it. The certificate is valid within fifteen days from the date it was issued. What should the medical certificate state? Make sure that you let the physician know all medical conditions you have as of the present since these conditions might affect your capability to drive safely. Passing of fake medical certificates (forged, duplicated, or processed from a non-licensed physician) are not tolerated by LTO. According to the department, no one shall be allowed to have a license or even renew license using a fake certificate. If any license will be issued by accident, it will be immediately recalled by LTO and proper case shall be filed. Are foreigner’s required to present a medical certificate? Like any other Filipino applicants, foreigners are also required to submit a medical certificate even if they have dual citizen license. Foreigners need to submit a medical certificate issued by any licensed physician practicing in the Philippines. Filipino young bloods who want to learn how to drive are usually taught by an elderly relative of the family. In most cases, people who has money to spend opt to go to a driving school and make advantage of a driving instructor. A driving instructor is a person who is hired by a person who is learning how to drive and wants improve his driving skills in order to get a driver’s license. They manage the driving theory lessons, teach the driving students about the right traffic rules, and inform student drivers about safety driving procedures. Driving lesson charges vary depending on the type of instructor, car to be used, and the duration of driving lesson. But is it really worth it to get and pay for a driving instructor? Let this article help you decide what type of driving lesson and when to get a driving instructor. Employees – these are instructors that work for a driving school or any educational organization such as a college, tertiary institute, the military, etc. Independent instructors – these instructors own more than one car. They could work as partners or even hire other instructors to work or franchise their business. The types mentioned above have different charges and may differ as well on the driving lesson packages that they offer. It would be better to directly contact the company or instructor to get quotes. Contact numbers are usually posted in their websites and social media accounts. If the car to be used for the lesson is an old model, expect the fee to be less expensive. But if it’s a newly released unit, of course the would be more expensive. Bear in mind that the current price of gasoline is also factored into consideration. If it’s high, the instructor may charge more to compensate the gasoline to be used during the entire duration of the lesson. The law of demand and supply applies in every business and so in driving lessons. If the demand is high, the pay is also high and then vice versa. Also companies changes their rate to match the other competing companies. But there are cases that companies tend to file bankruptcy as well in this business because of the lack of students coming in. If a large portion of population doesn’t have enough money to pay for a driving lesson, instructors automatically lower their fees to meet the needs of their market. This is the most common qualifier for instructors. Instructors who have already set good reputation in the business can maintain their prices or even demand for more since they have a steady stream of students. On the other hand, if the instructor is just starting out, then they need to promote their business further to get student learners to enroll. Every student driver wants to make sure they choose the best driving school and instructor while not neglecting their budget at the same time. But you really get what you pay for, and considering the hazards involved in driving, I suggest you don’t cheap out on your driving lessons. Below are qualities that you should consider. Listed below are the cheapest driving schools in Manila according to LTO. For list of prices, you can just check their website or social media accounts. All car brakes at a certain time will experience overheating when in use which results in a degraded braking power. If not confronted properly this may leave you out in a hazardous situation that’s why it’s a good thing to know how it happens and what are the causes. Brake fade or braking system fade is the degradation or complete loss in stopping power of vehicle’s braking system. This is due to sustained and repetitive application of the brakes which results into deterioration of both drum and disc brakes. Brake fade is one of the leading cause of road crash here in the country especially with truck vehicles as they are more susceptible to have brake fades due to heavy the load they carry. Braking system fade is the result of overheating brake pad. This means all vehicles that have brake pads rubbing against a brake rotor which transforms the vehicle’s kinetic energy into heat has the tendency to develop braking system fade. Imagine you are driving downhill while pulling a 500kg trailer(trailer is without brakes). If your vehicle weighs around a ton it only means that your braking system will have to shoulder about fifty percent more load. This results into excessive overheating of your brake pads that results into a faster braking system fade than usual. Now an even worse case scenario is when you’re pulling another vehicle. This is a typical case in the Philippines where you see a regular vehicle towing another vehicle. Bear in mind that if that vehicles that are usually towed are the ones that had a break down so this means that it’s an unbraked trailer because it’s engine is off. Doing this will surely result in a faster fading of your brakes system. Make your brake system is in good condition. Proper scheduled maintenance will do that for you. For manual transmission vehicles you can put your gear between one to four. This would help you maintain constant speed when going downhill. Gear number five would too fast and dangerous when diving down even on a lengthy hill. What should you do in case a brake fade happens? Turn down your speed immediately as soon as you recognize a brake fade and switch down the gears to as low as you can without over-revving the engine. It is really necessary to get high revs as low the vehicle won’t slow down when it’s low. It’s actually alright to rev the engine up to the redline (maximum rpm) or even past the redline for a very brief time period. It’s not going to damage your engine because you are not applying petrol to rev the engine instead it’s running through the momentum force of the wheels. Anyhow, make sure to not damage the engine because that’s another story. Pull the handbrake gently. Do this if your vehicle has a typical lever handbrake. If your have a hydraulic handbrake then it could put you in a more dangerous situation by causing your car to spin since the hydraulic handbrakes apply itself with entire force. For automatic cars, do not put it in reverse or park mode. If you have a manual car never put it in reverse as it will damage your gearbox when travelling forward. Try to look for exits as soon as possible. To minimize danger to other road users it’s best to try to get off the road as quickly as possible especially if you can’t stop to pick up speed. Try to run it off into fields or into a hilly location, or a bumpy road rather than running it toward a wall, or electrical post, or worst into another vehicle. Check out the terrain. Bushes and shrubs will impede your speed; muddy terrains even more, however, be sure that the terrain you are treading wouldn’t hoist you into the air or even worst a hurl you tumbling down into a cliff. If you manage to come into a halt your brakes will most likely be fiery hot. You’re going to have to let it cool for a while. However, don’t leave it in one position as it could contort the rotors due to excessive heat. To avoid this try to keep your wheels turning to prevent further damage to the vehicle and remember to keep it in 1st gear to minimize the speed. Driving requires a lot of skills. One of which is parking — be it parallel or not. But more importantly, a driver should know and be aware of where and when to park properly. This article will discuss common guidelines and whatnots about parking and its corresponding consequences or fines if not followed. The rule of thumb is to always park one meter away from a vehicle entrance. Failure to do so makes it difficult for drivers in larger vehicles to get in and out of the driveway. It will also cause blocking emergency services. If this happens to you, you have the right to complain to a traffic officer or local council, who will also be the deciding body whether to issue a ticket to the driver and/or tow the vehicle. “Stalled Vehicle” means any motor vehicle and/or its attachments which for any cause is unable to proceed under its own motive power and is on a public road, street or thoroughfare and dilapidated/junked vehicles in Metro Manila. “Illegally Parked Vehicle” refers to one which is parked in areas prohibited by existing law or ordinance for parking purposes or those designated by the Authority and or the local government units (LGUs) as NO PARKING areas or zones. To further guide you on your next parking, below are other basic parking mishaps that you should avoid. This type of careless parking is when a vehicle is causing obstruction to pedestrians, having them step off the pavement and walking towards the highway which is absolutely dangerous. Pavement parking makes it difficult as well for people with disabilities (especially those on wheelchairs) to pass safely. If you own the pavement, then you will automatically be exempted to the rule. Parking lines are created to ensure that each vehicle has enough space to get in and out of the vehicle. It is a must to ensure that you park your vehicle within the given area to avoid double parking (using two parking slots). This technically eats up space that lessens opportunity for others who badly need to park as well. To avoid making this mistake, make sure that all your wheels are within the parking line. As easy as that. Ever wonder what’s the purpose of yellow lines in car parks? Yellow lines mainly indicates restrictions in parking areas depending on the location you are at. 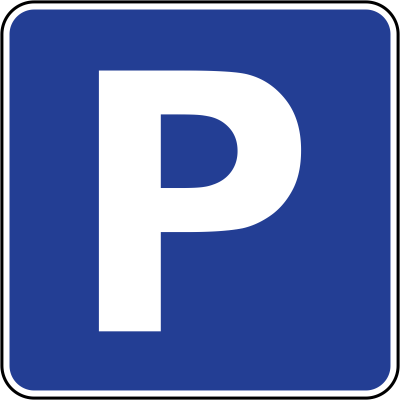 Single yellow line – restrictions on parking is only for a short period of time and these restriction periods are shown by a signpost. Double yellow line – 24/7 restriction and signposts are not needed. Yellow double lines are popularly used in Singapore, United Kingdom, and United States. BY REQUIRING CERTAIN BUILDINGS, INSTITUTIONS, ESTABLISHMENTS AND PUBLIC UTILITIES TO INSTALL FACILITIES AND OTHER DEVICES.” This slot is easy to recognize since it has a drawing of a stick man that seems to sit on a wheelchair. Also, PWD slots are always located near the entrance of establishments. Even if the slot doesn’t have a vehicle parked on it, it doesn’t give you any permission to park there unless if you’re a person with a disability yourself. Always remember that good and responsible parking reflects a good driver after all. If you’re someone who wants to know who gets to use the PWD parking then you can check-out this article. You are driving one beautiful Sunday afternoon, the radio is blaring and you are nearly home. As you approach a junction you apply the brakes and get ready to stop if you need to. Glancing left and right you notice there’s no traffic so you begin to move forward. Suddenly there’s a bike right in front of you and you slam on the brakes, narrowly avoiding it. How did that happen? You checked left and right but did not see any vehicle approaching. Was it a ghost? No, it actually is caused by two phenomena that occur in human vision. Understanding these will give you insights to just how flawed our own vision can be! Try looking in a mirror and see if you can watch your own eyes as you move them from one point to another. You will never observe your own eyes moving because your brain is masking it, but another spectator will see your eye movements. Saccadic masking is also the reason why the first second hand movement of a clock, at first glance, appears to be longer than its next movements. This psychological phenomenon happens when large changes in a scene goes unnoticed by an observer. Occurrence of such are influenced by eye movements (saccades), visual and mental distraction, and the lack of focus and attention. Try watching this video to have a better understand of what change blindness is. How can understanding Saccadic Masking and Change Blindness make driving safer? Being aware of these natural phenomenons will also make you aware of the measures that you could take to avoid any accidents influenced by them. Below are five tips which, when followed carefully, help mitigate our human visual incapacity. Be attentive. Always keep your focus on driving and not on other things. Avoid looking at your mobile device or from anything that could distract you while driving. Always check more than once. Whether you are looking at the mirrors or checking right and left, see to it that you always do this more than once. This greatly increases your chance of seeing less visible objects such as cyclist and motorcyclists. Be proactive and not reactive. Being proactive prepares you to respond to any unexpected circumstances while driving. Always think ahead of the situation, especially when approaching a junction, overtaking, and making turns. By doing so, you are actually conditioning yourself for a quick response (ready to step on the brake or make a quick maneuver) in case an accident might occur. Turn your head. When changing lanes or turning, it is not enough to check your mirrors alone. Instead, turn your head as well to check over your shoulder immediately after checking the mirrors. Don’t think twice about it. When driving and you suddenly feel sleepy don’t hesitate to pull over to take a rest. If someone else is with you who knows how to drive, let him or her take the wheel. Do not drive in the first place if you are not feeling well or are sleepy. Now that you understand saccadic masking and change blindness, and how it could pose as a threat to driving, you can now apply what you learned and take it on the road for a safer driving experience. The no window hour number coding also known as the Unified Vehicular Volume Reduction Program (UVVRP) was implemented to reduce the seemingly unending traffic congestion in Metro Manila. MMDA (Metro Manila Development Authority) stated that it’s effective from 7 a.m. to 8 p.m. and covers 18 different areas within Metro Manila. 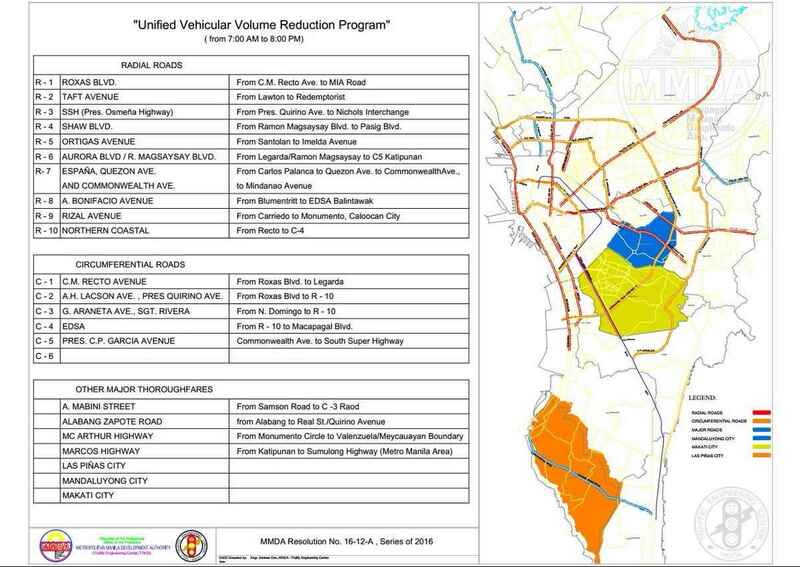 Below are areas and roads that are included in the UVVRP. 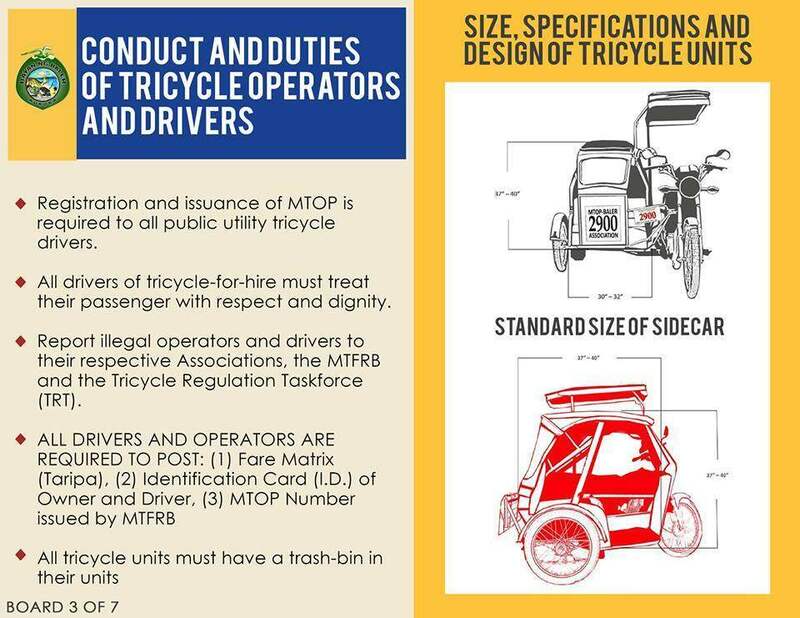 Here’s the official MMDA Tweet of the UVVRP illustration.